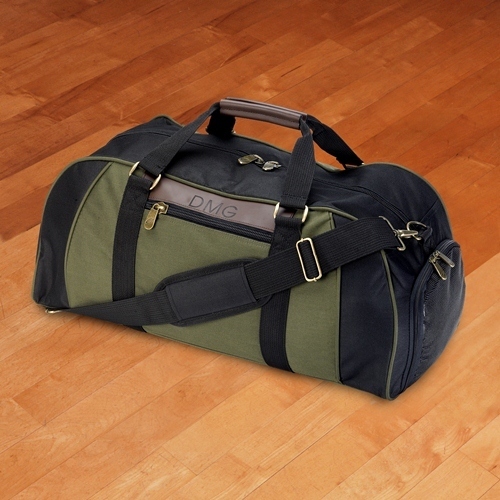 * This handsome duffle bag is a practical gift that guys can really use and abuse. * Crafted with durable water-resistant fabric, brass hardware, heavy-duty zippers and leather detailing, this piece is made to last. * Each bag measures a roomy 23" x 10" x 11" and includes two zippered side pockets, one covered in see-through mesh for easy access to essential items. 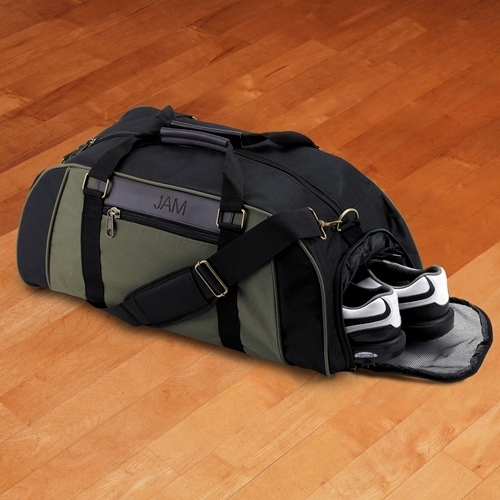 * Once it's packed, he can carry it in comfort by the leather wrapped handles or padded shoulder strap. 23" x 11" x 10"